The 3-day exercise, ‘Bold Kurukshetra–2019’, is being conducted between India and Singapore at Babina Cantonment (Jhansi). The two countries had signed a cooperation agreement to strengthen the defence ties between Indian Military and Singapore Armed Forces in November, 2017. As per the agreement, the Singapore military would undergo training and participate in firing exercise with their Indian counterpart. This will be the 12th in the series. Aim of Bold Kurukshetra 2019 : To develop military technology, boost maritime security and bolster the nations’ fight against terrorism. 43 days after the Indian Air Force struck Jaish-e-Mohammed training camps in Balakot, Pakistan military today took a group of international media persons and foreign diplomats on a tour of the site. The visit lasted for about 20 minutes and they were shown three ditches on the way where Pakistan claimed IAF dropped the bombs. UK PM Theresa May expressed regret over the Jallianwala Bagh massacre and called it a shameful scar on British Indian history. However, UK's Opposition called for "a clear and unequivocal apology" for the massacre. Around 1,000 people were killed after British troops opened fire on a peaceful gathering in Amritsar on April 13, 1919. The decision was taken at an emergency meeting in Brussels yesterday where the EU leaders agreed to offer British Prime Minister Theresa May a six-month extension. New Zealand Parliament has voted to ban all types of semi-automatic weapons and assault rifles following the Christchurch attacks. The hospital has been built under the Government of India's Small Development Projects Scheme. Voting is underway in the 1st phase of general election in India. Polling is being held in 91 Parliamentary constituencies, spread over 18 states and two Union Territories. 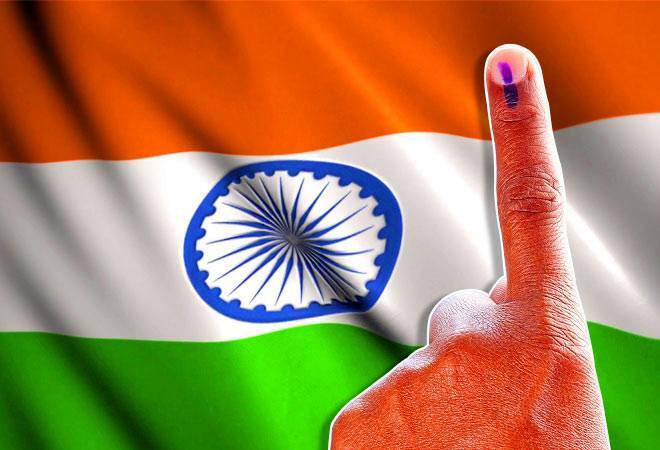 Simultaneous voting is also taking place to 175-member Andhra Pradesh Assembly, 32-seat Sikkim Assembly, 60-member Arunachal Pradesh Assembly and for 28 of 147 Assembly seats in Odisha. All 25 parliamentary constituencies of Andhra Pradesh, 17 of Telangana, 8 in Uttar Pradesh, five each of Assam and Uttarakhand, four each in Bihar and Odisha, 2 each of Jammu and Kashmir, West Bengal, Arunachal Pradesh and Meghalaya, and one each of Chhattisgarh, Mizoram, Manipur, Nagaland, Sikkim, Tripura, Andaman and Nicobar and Lakshadweep are going to polls in this phase. In an annual tradition, Andhra Pradesh's Kairuppala village in Kurnool district, organised its 'Pidakala War', which involves two sides throwing cow dung at each other. The event, which signifies a mythological Hindu dispute, took place a day after the Ugadi festival. Villagers believe that the ritual brings health, prosperity, and rain to the villages. The Supreme Court today imposed a fine of 20 lakh rupees on the West Bengal government for imposing a 'virtual' ban on the public screening of the satirical film Bhobishyoter Bhoot in the state. The court ordered that the fine amount shall be given to producers and cinema hall owners as compensation for violation of their right to freedom of speech and expression. President Ram Nath Kovind launched ‘Veer Parivar App’, a mobile application for families of CRPF personnel killed in the line of duty. WikiLeaks founder Julian Assange was arrested in London after his diplomatic asylum was withdrawn by Ecuador, in whose embassy he had been staying for the past 7 years. Assange faces several cases in the US, Sweden and the UK. Telugu poet K Siva Reddy has been selected for Saraswati Samman for the year 2018. He is being honored with this prestegious award for his collection of poetry titled 'Pakkaki Ottigilite'. The National Mission for Clean Ganga (NMCG) was awarded the distinction of “Public Water Agency of the Year” by Global Water Intelligence. India’s education technology startup ‘Dost Education’ has bagged a $25,000 Next Billion Edtech Prize 2019. Ubongo (Tanzania) and PraxiLabs (Egypt) were the other two winners of the prize. Note : Mandhana is currently the top-ranked player in women's ODIs and third in T20Is. In Badminton, P V Sindhu, Saina Nehwal, Kidambi Srikanth and Sameer Verma entered the quarterfinals of Singapore Open today.